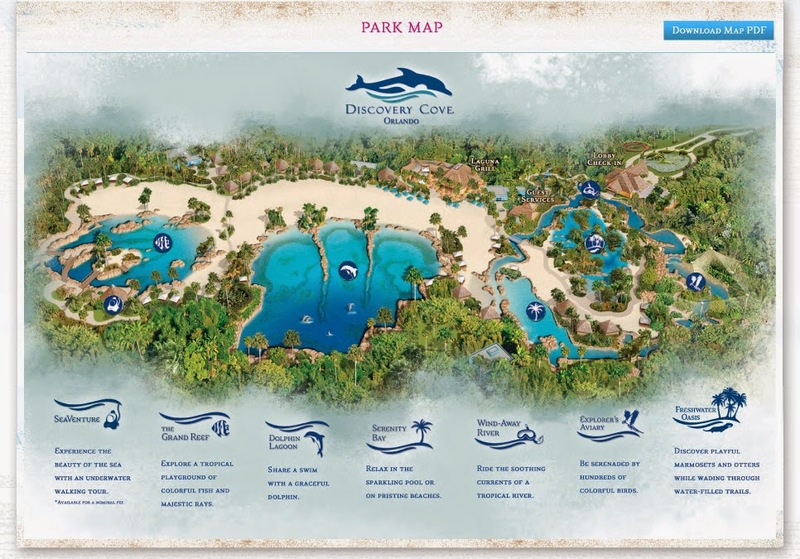 ORLANDO, Florida – July 15, 2014 – Today, for the second consecutive year, Discovery Cove® in Orlando was named the No. 1 amusement park in the world in the 2014 TripAdvisor® Travelers’ Choice™ Amusement Parks and Water Parks category. The Travelers’ Choice awards are determined based on millions of valuable reviews and opinions from TripAdvisor travelers. Discovery Cove receives top ratings based on the guests’ awe-inspiring encounters with exotic animals in a resort-style, tropical oasis setting. “Today calls for a celebration. We’re honored that Discovery Cove has been recognized on the world’s stage once again for its ability to deliver an unforgettable vacation experience. Daily we witness dreams come true – families bond, friendships strengthen and lifetime memories are made. Our up-close animal interactions inspire and give guests a greater appreciation for our planet and its incredible species,” said Stewart Clark, vice president of Discovery Cove. Discovery Cove is an all-inclusive day resort in which guests enjoy a one-of-a-kind opportunity to swim with dolphins, rays and tropical fish and hand-feed exotic birds. At Discovery Cove, guests experience the most exciting animal encounters the world has to offer in a breathtaking tropical atmosphere. 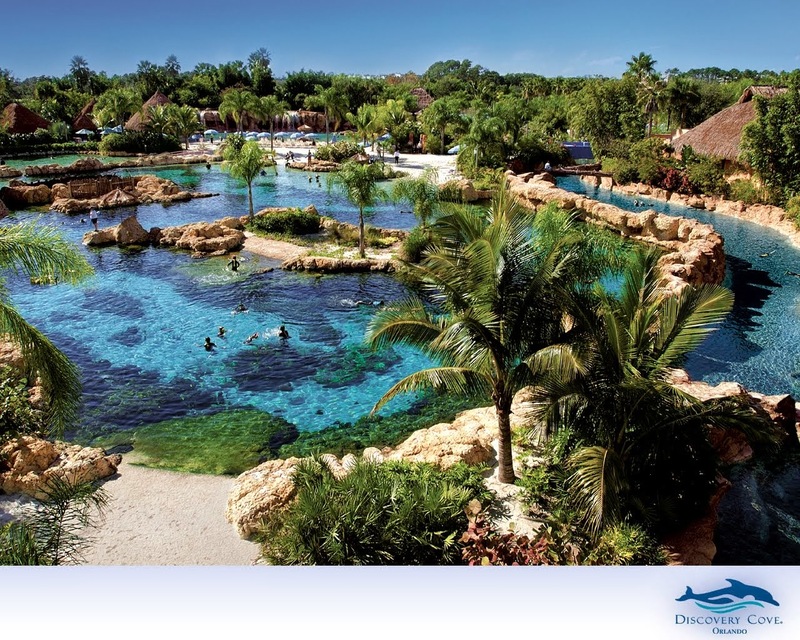 Discovery Cove is a paradise of rocky lagoons surrounded by lush landscaping, tropical reefs, winding rivers, a resort-style pool complete with waterfalls, and pristine white-sand beaches. Orlando is ranked No. 3 in the U.S. and No. 9 in the world. To see all of the 2014 Travelers’ Choice winners, visit http://prn.to/1jLJb9p. For reviews on Discovery Cove, visit TripAdvisor.com. To book a reservation, visit DiscoveryCove.com or call 1-877-434-7268. Stay connected on http://www.facebook.com/discoverycove. Discovery Cove is part of SeaWorld Parks & Entertainment, which operates 11 parks across the U.S. including SeaWorld parks in Orlando, San Diego and San Antonio; Busch Gardens parks in Tampa, Fla. and Williamsburg, Va.; Aquatica, SeaWorld’s Waterpark in Orlando, San Diego and San Antonio; Sesame Place near Philadelphia, Pa.; and water parks Adventure Island in Tampa and Water Country USA in Williamsburg. The 11 parks play host to 25 million guests each year and employ 26,000 people nationwide. To learn more, visit SeaWorldParksandEntertainment.com or call toll-free 1-888-800-5447. Additionally, SeaWorld Parks & Entertainment created the SeaWorld & Busch Gardens Conservation Fund, a non-profit, private charitable foundation committed to supporting wildlife and habitat conservation, research, education and animal rescue programs worldwide. Learn more at SWBG-ConservationFund.org. About TripAdvisorTripAdvisor® is the world's largest travel site*, enabling travelers to plan and have the perfect trip. TripAdvisor offers trusted advice from real travelers and a wide variety of travel choices and planning features with seamless links to booking tools. TripAdvisor branded sites make up the largest travel community in the world, reaching nearly 260 million unique monthly visitors**, and more than 150 million reviews and opinions covering more than 4 million accommodations, restaurants and attractions. The sites operate in 42 countries worldwide, including China underdaodao.com. TripAdvisor also includes TripAdvisor for Business, a dedicated division that provides the tourism industry access to millions of monthly TripAdvisor visitors. TripAdvisor, Inc. (NASDAQ: TRIP) manages and operates websites under 23 other travel media brands: www.airfarewatchdog.com,www.bookingbuddy.com, www.cruisecritic.com, www.everytrail.com, www.familyvacationcritic.com, www.flipkey.com, www.gateguru.com,www.holidaylettings.co.uk, www.holidaywatchdog.com, www.independenttraveler.com, www.jetsetter.com, www.lafourchette.com.www.niumba.com, www.onetime.com, www.oyster.com, www.seatguru.com, www.smartertravel.com, www.tingo.com, www.travelpod.com,www.tripbod.com, www.vacationhomerentals.com, www.virtualtourist.com, and www.kuxun.cn.